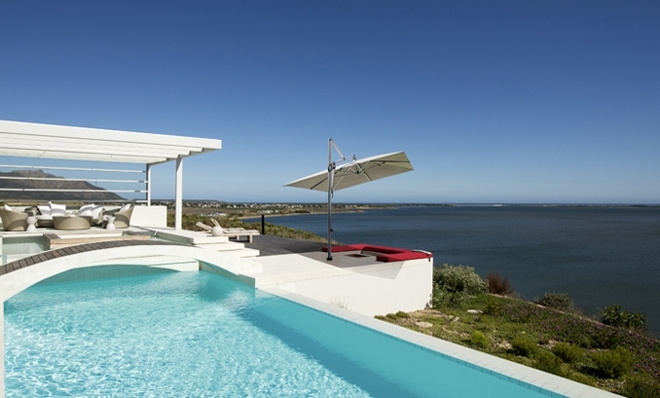 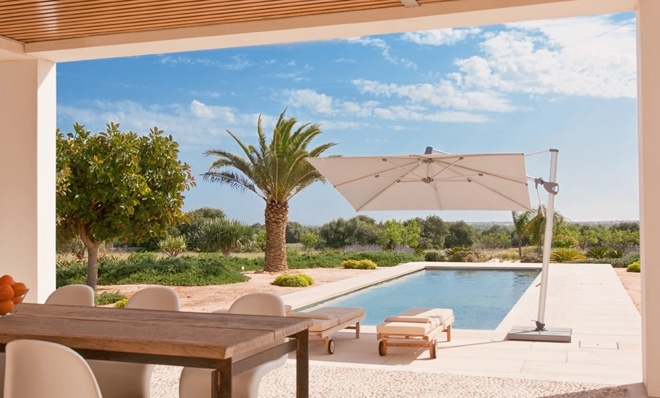 Contemporary designed SOMBRANO® S+ side post umbrellas certainly make a statement. 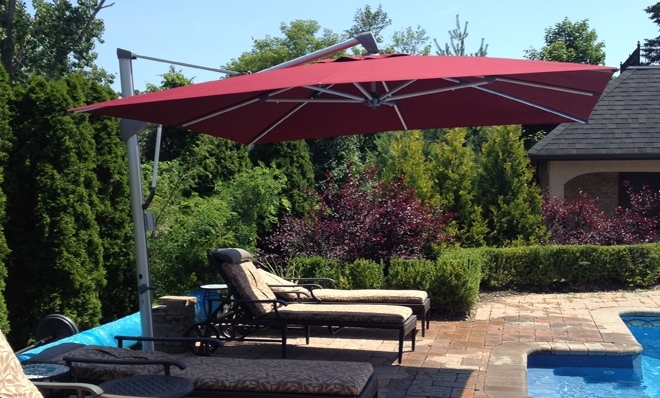 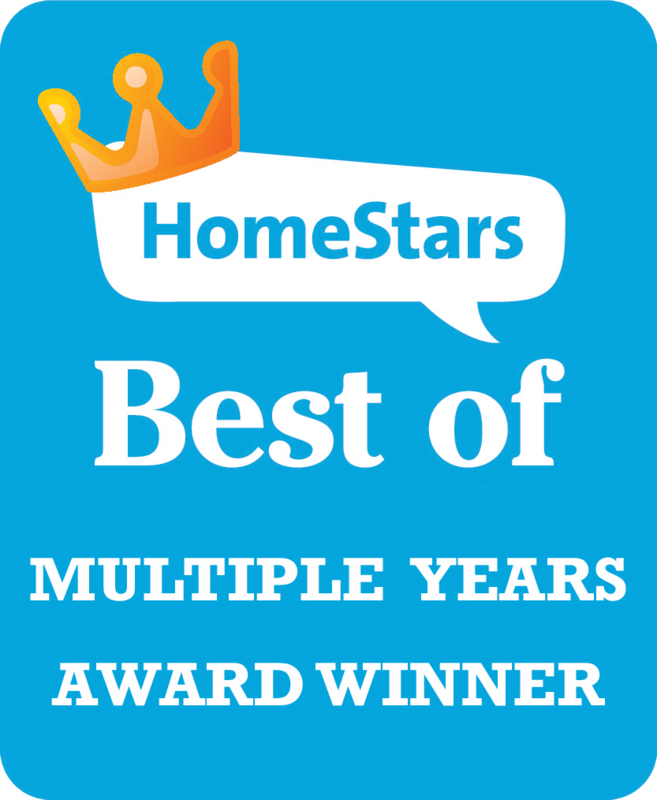 They serve as the ideal cover for large patio dining sets, conversation seating, pool and spa areas at your home or cottage. 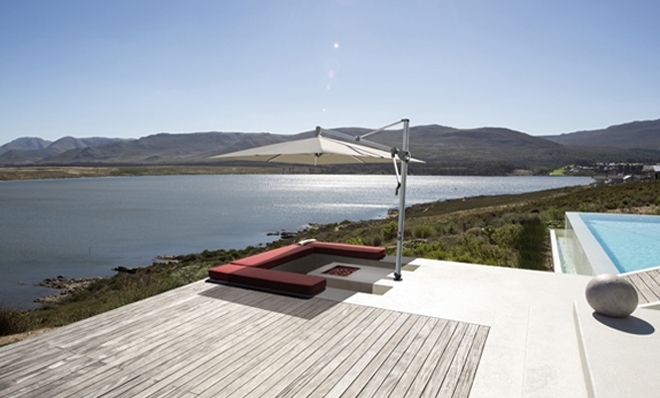 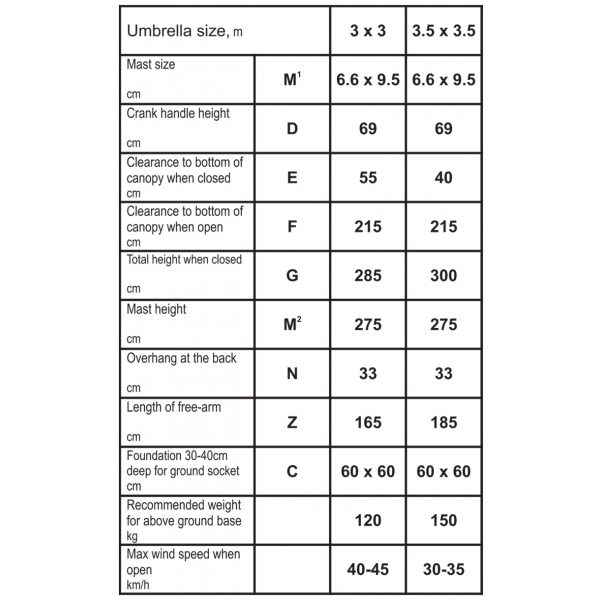 These umbrellas are also suitable for commercial applications. 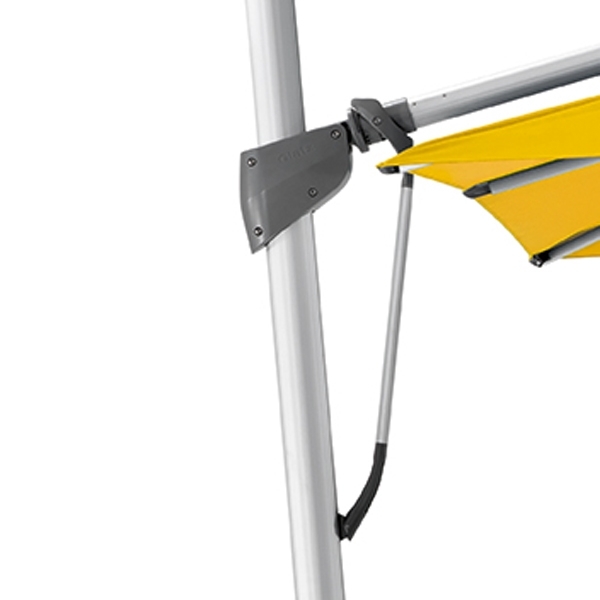 ROLLTEC® offers over 100 choices of solution-dyed, marine grade acrylic fabrics for your customized umbrella. 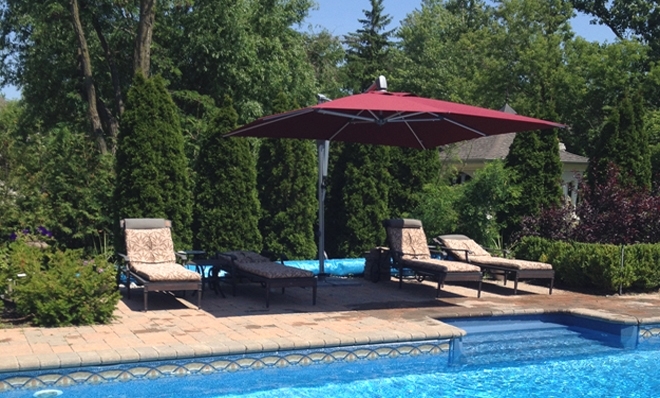 The SOMBRANO® S+ side post umbrella is made of heavy duty anodized aluminum and comes with a protective cover. 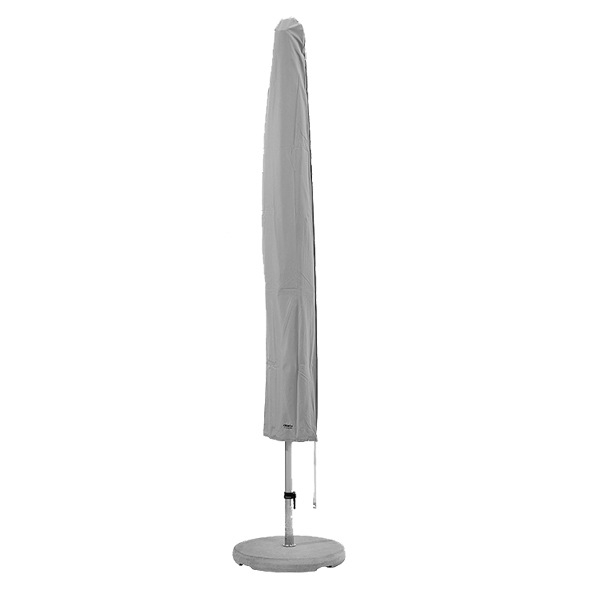 Available as 3m (10'0") or 3.5m (11'6") square. 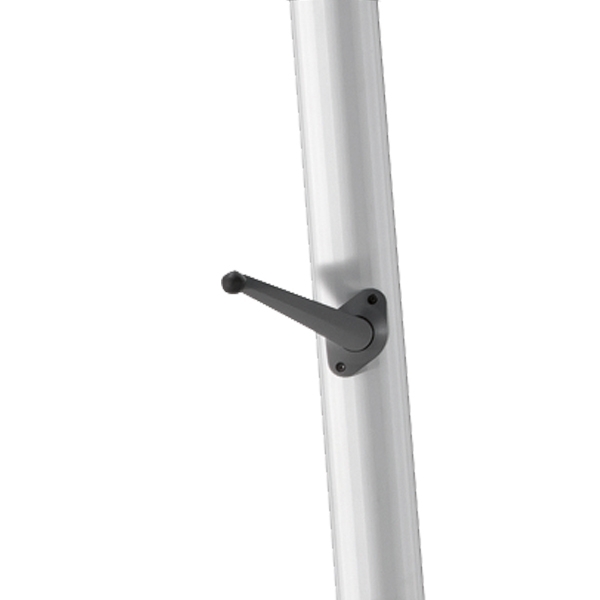 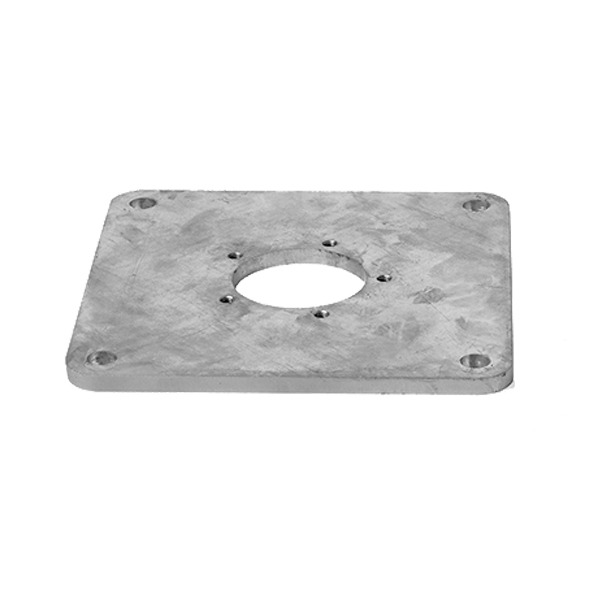 The SOMBRANO® S+ may be opened and closed by a self-locking crank mechanism and can withstand winds up to 35-45 km/h. 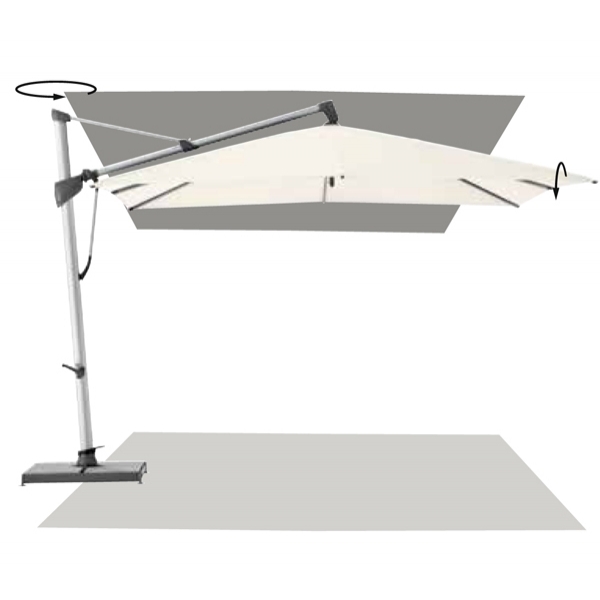 A turntable ball bearing base rotates the umbrella 360°. 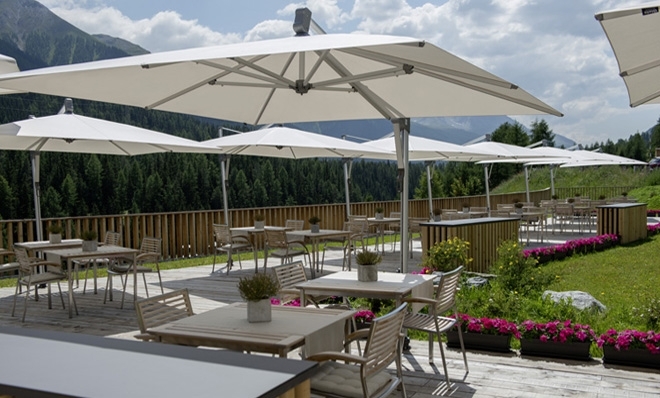 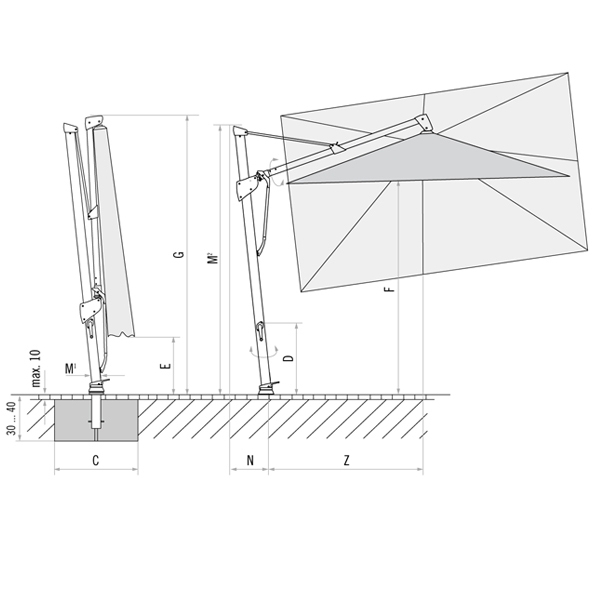 Each umbrella is equipped with an easy pitch mechanism that enables the user to tilt it side to side in 18° increments, up to 54°. 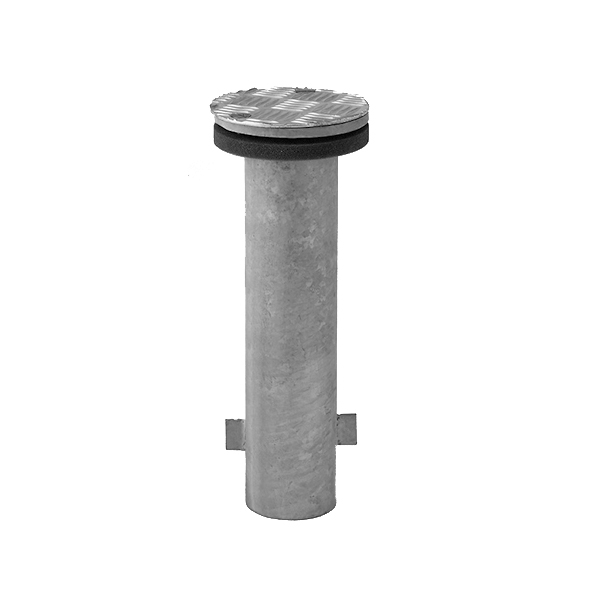 The SOMBRANO® S+ fabric top can be ordered with or without a vent. 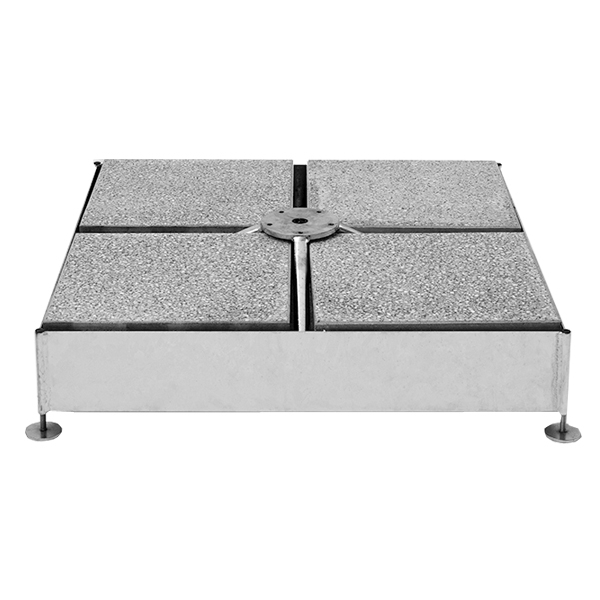 The SOMBRANO® S+ is backed by a 2-year warranty against manufacturing defects.